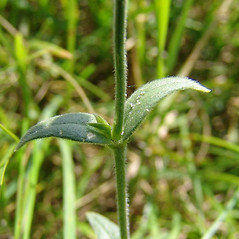 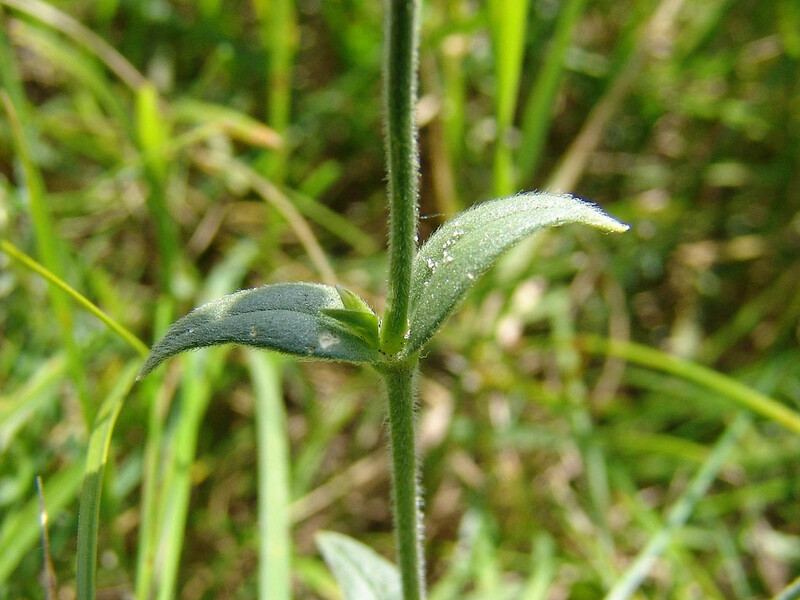 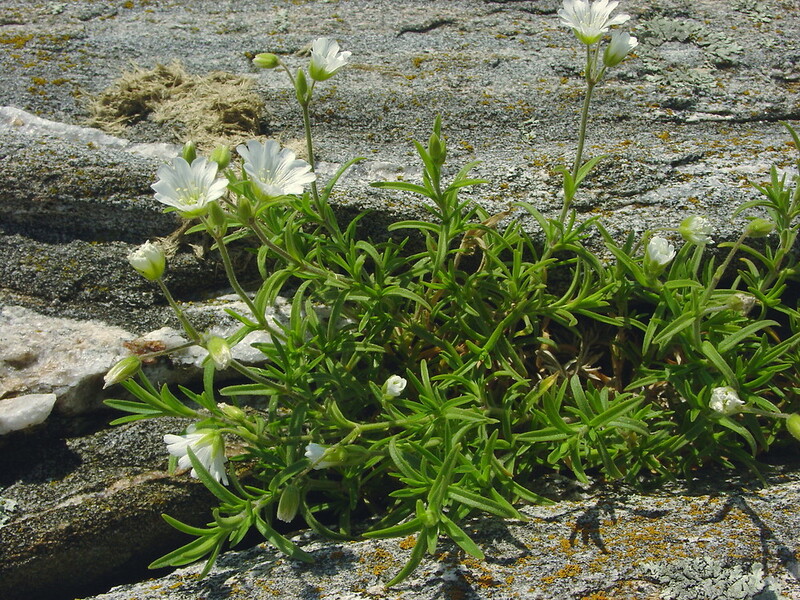 Field chickweed is introduced from western Europe, and is present in northeastern North America. 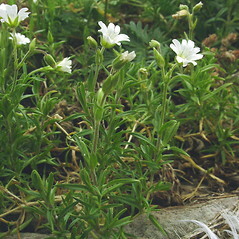 It is morphologically very close to a native species, America field chickweed (Cerastium strictum). 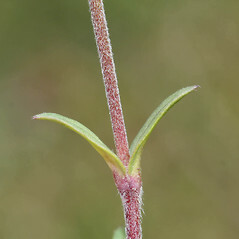 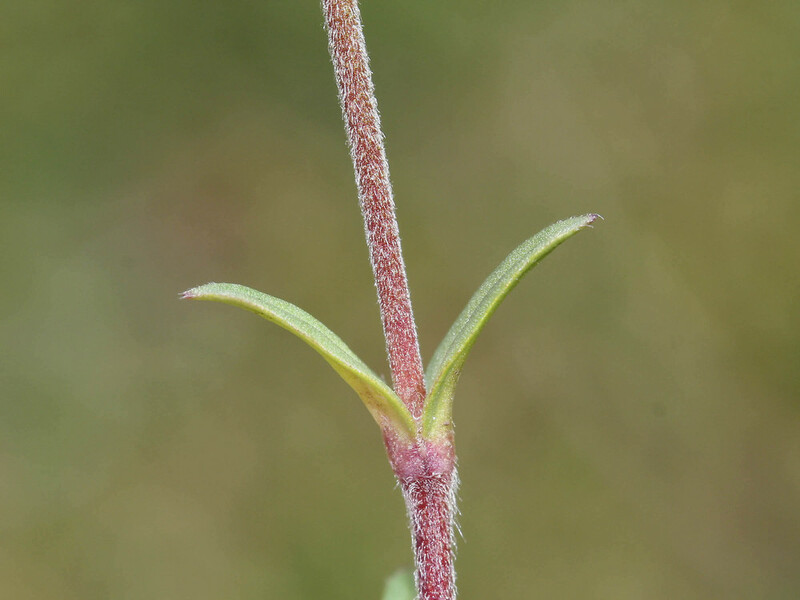 They are most easily distinguished by field chickweed having larger petals and longer reproductive stems than American field checkweed, but more reliable may be the fact that field chickweed inhabits human-disturbed sites, while American field chickweed is usually found in undisturbed habitats including high-pH and serpentine communities. 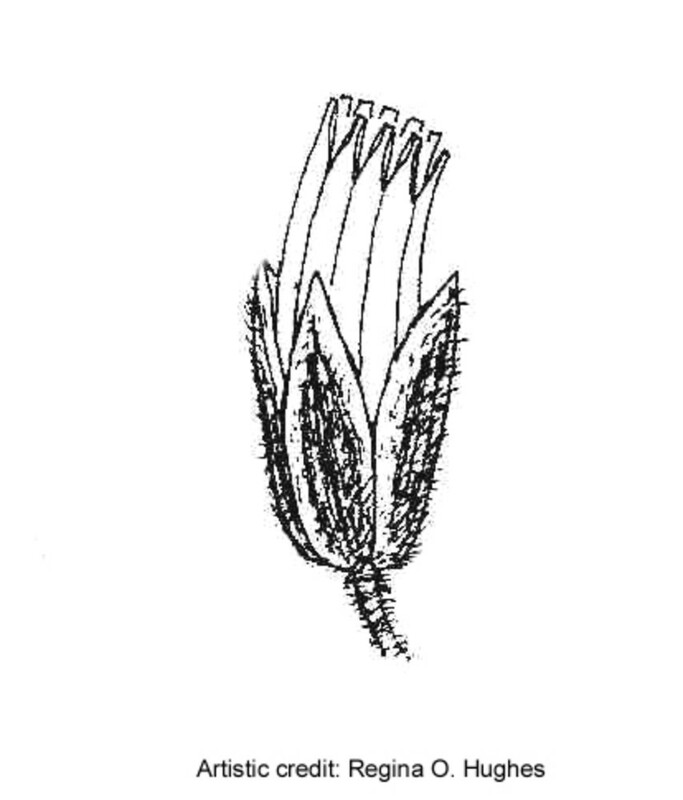 petals mostly 7.5-9 mm long, sepals mostly 3.5-6 mm long, and anthers 0.8-0.9 mm long (vs. C. arvense, with petals 10-15 mm long, sepals 5-8 mm long, and anthers mostly 0.9-1.2 mm long). 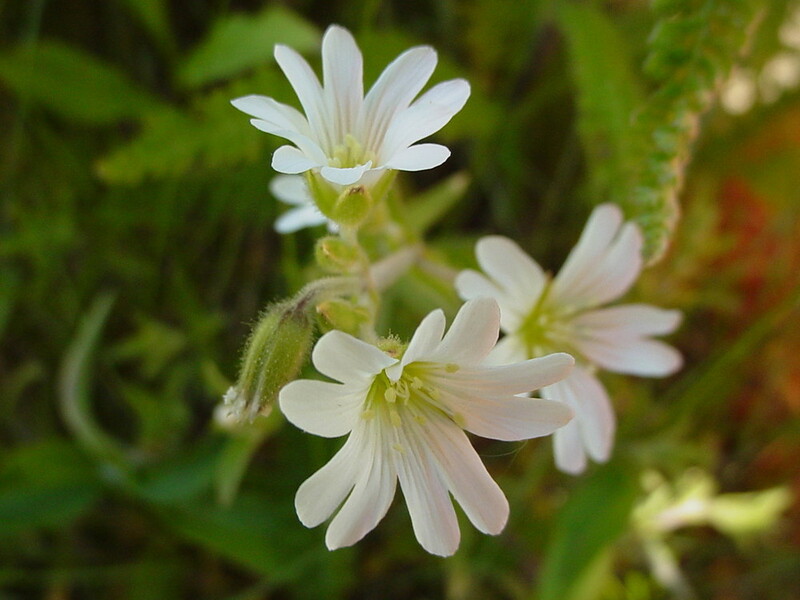 field chickweed. 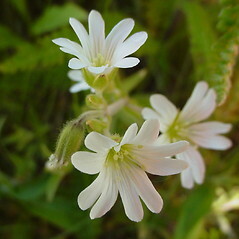 CT, MA, ME, NH, VT. Fields, roadsides, lawns, cemeteries. 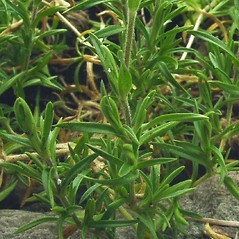 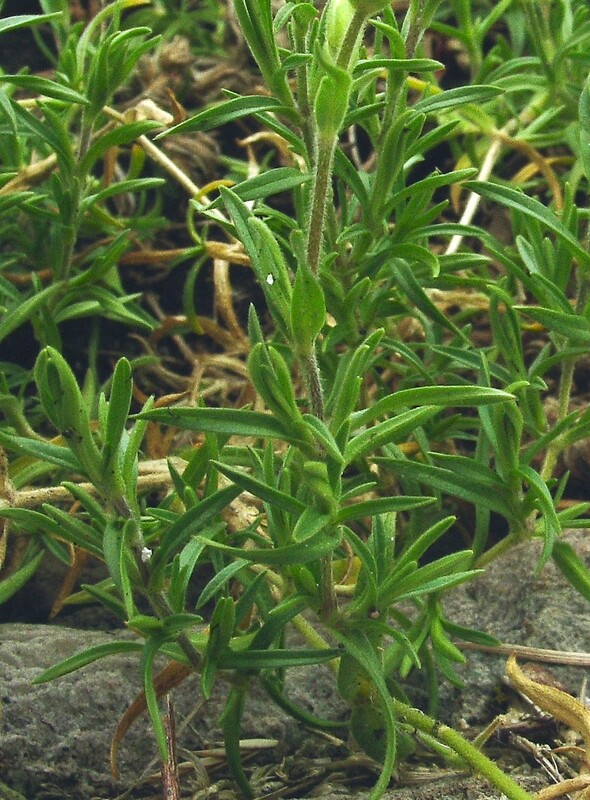 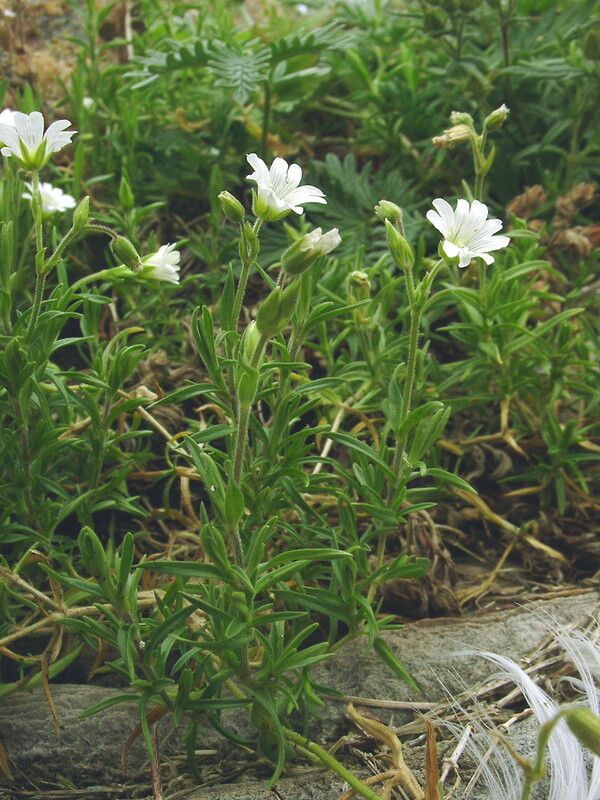 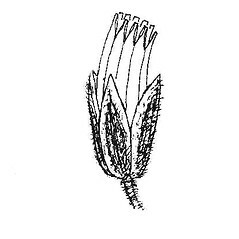 Cerastium arvense was introduced from Europe and tends to occur in human-disturbed habitats. 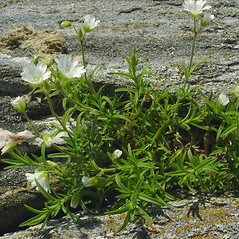 Native members of this complex (e.g., C. strictum) commonly (but not always) occur in undisturbed habitats, including high-pH and serpentine communities.